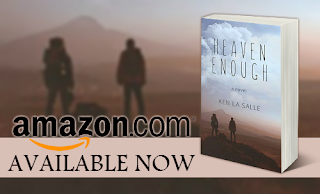 Heaven Enough by Author Ken La Salle is available on Amazon! Is a poem about longing, about wishing for something more. 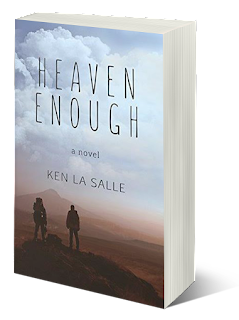 "What would it be like if I had heaven enough?" it reads. Matt Murphy reads these words for the first time at his wife's funeral. After a death shrouded with mystery, it is the first time he learns that she wrote poetry. He and Diva were married for nearly twenty years, yet he did not "know" her. A poet and lover of culinary delights, she is struck by a car and killed instantly—randomly—on the wrong side of town. When her brother, the "monk," appears for the funeral, Matt is set on an unprecedented course. The two find Diva's computer filled with preparations to hike the Pacific Crest Trail. Over 2600 miles from Mexico to Canada...and she was leaving without her husband. 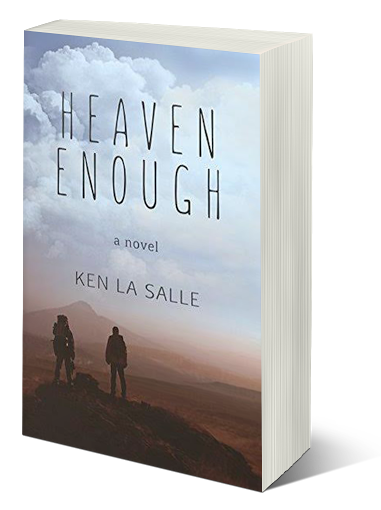 Author and Playwright, Ken La Salle grew up in Santa Ana, California and has remained in the surrounding area his entire life. He was raised with strong, blue collar roots, which have given him a progressive and environmentalist view. As a result, you'll find many of his stories touching those areas both geographically and philosophically. His passion is intense humor, meaningful drama, and finding answers to the questions that define our lives.